Hands down, Cristoph’s Tampa is the best gay bar in Tampa. There are many reasons why Cristoph’s Tampa is the best gay bar in Tampa for any gay men: bears, twinks, tops and bottoms. Even if you are still in the closet, it is worth heading over to the best gay bar in Tampa. Ready to find out why Cristoph’s is the best gay bar in Tampa? Meet tonight's date, mingle and make friends. Our dance floor is always open for serious party business. VIP Rooms, drag shows, contests, drink specials and more! 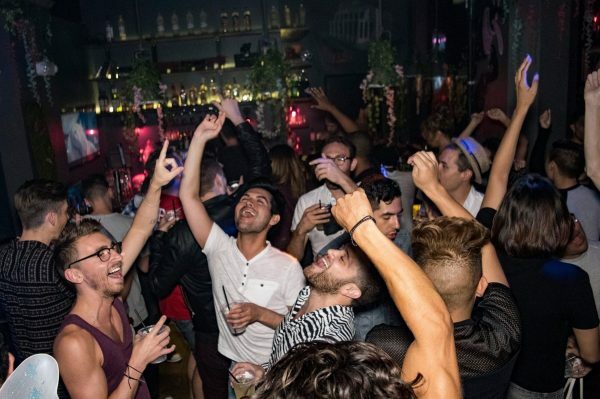 What Is It Like to Visit the Best Gay Bar in Tampa? Curious about what it’s like to visit Cristoph’s Tampa, the best gay bar in Tampa? You’re in for a treat. Cristoph’s Tampa offers so much from a gay club. The best gay bar in Tampa is so much more than just a bar. The moment you walk into Cristoph’s you will feel like a superstar- glow lights, spotlights, and delicious men at every corner! The best gay bar in Tampa also has the best drag shows! Come to the best gay bar in Tampa to experience the most hilarious, entertaining drag shows in Tampa. You’ll be saying “YAS QUEEN!” by the end of the night. Also, did we mention that we are also a premium gay leather bar? Cristoph’s Tampa has some of the HOTTEST burly, leather-clad bears on this side of Florida. To check out our up and coming drag shows, parties, entertainment and events, please visit Cristoph’s events page. Cristoph’s, the best gay bar is a huge part of the Tampa nightlife scene and a proud member of the LGBT community. Although there are bars and dance clubs across the city of Tampa, however, none of them compares to Cristoph’s, the best gay bar in Tampa. Cristoph’s has become one of the hottest spots in Tampa for the gay scene and leather bar scene. Come party with Cristoph’s, the best gay bar in Tampa! Cristoph’s Tampa is located on 2606 N Armenia Ave, Tampa, FL 33607 right in the Old West Tampa area. Have any questions or comments? Give us a call or shoot us a message here!